Deals: Vacation in the North! this post contains affiliate links. If you click and make a purchase, I may receive a commission. Plan your Northern vacation with these great deals! Eretz Dafna Hotel has similarly priced deals (starting at 399 nis per night) and is also family friendly, and I've been told that meals there are kosher. Ski at the Hermon - or just play in the snow (the play in the snow option is definitely the most budget friendly one!) 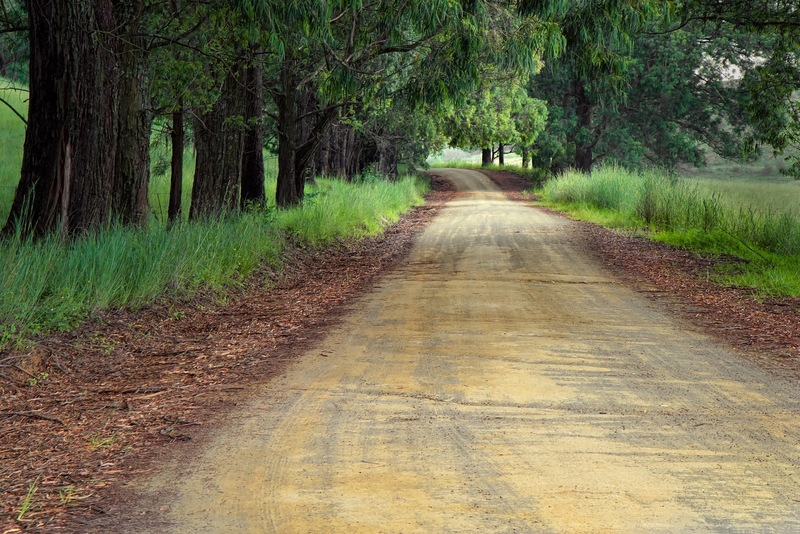 - with discount admission to the Hermon! Click for full details. 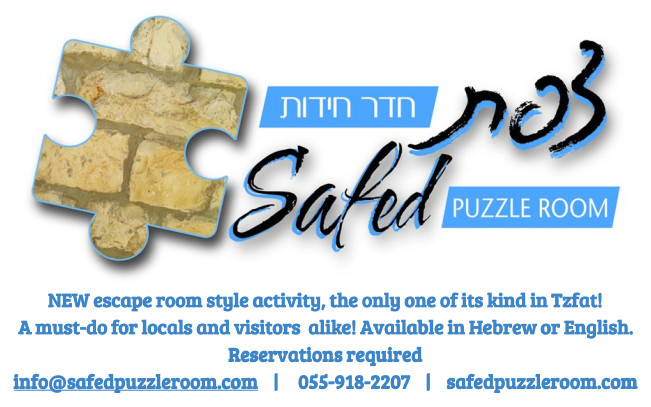 Come to the Safed Puzzle Room for a unique Tzfat themed escape room! Get 10% off if you mention "KosherFrugal" when you reserve! 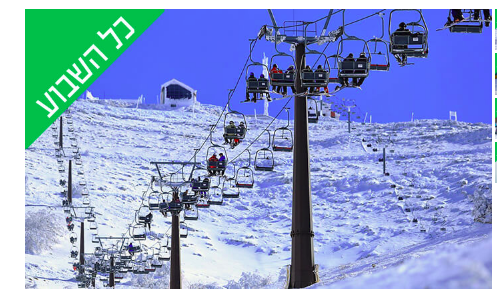 Otzar HaStam in Tzfat - this deal gets you tickets for up to 33% off regular price! Go Ice Skating at Montfort with this discount deal, or choose to do the "Extreme Park"! This deal will get you significant savings! Take the cable car at Rosh Hanikrah with this discount deal! 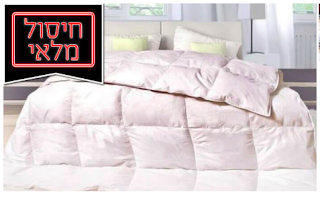 Pay 40 shekels per adult and 33 shekels per child with this deal! There are lots of great deals out there - let me know what you're looking for! Join my Israel Deals group on Facebook! 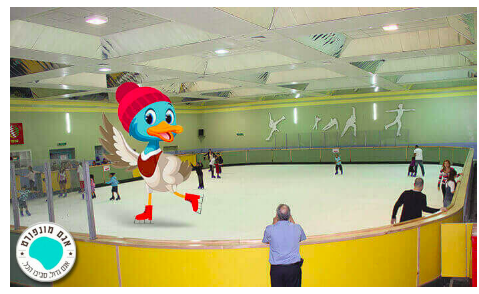 Check out this Groo deal for discount ice skating!! Check this out! Discount admission to Ice Skating at Montfort Lake! 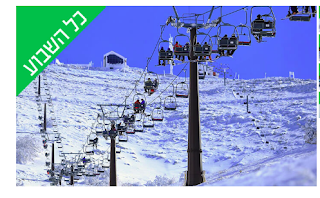 39 nis for 1 person, or 149 nis for 4 people, or 209 nis for a combination ice skating and lake safari boat package for 4 people! Voucher valid for 60 days from date of purchase, but call in advance to verify the park is open! Must be at least 5 years old to skate. Check out this Groo deal for discount admission to the Hermon!! The deal got better! Click here for the updated deal! Check this out! Admission to the Hermon for just 34 nis! Check out this Groo deal if you're in the market for a feather comforter! Here's a deal for a feather filled comforter with FREE Shipping! choose one "single" size for 85 nis or get 2 of them at the same time for 169 nis! Check out this Groo deal if you're buying contact lenses! 6 "monthlies" for 79 nis! Check out this Groo deal for discount tix to the Michael Jackson tribute concert! 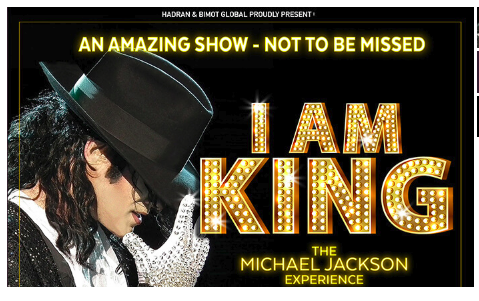 The "I Am King" Michael Jackson tribute concert is coming to Israel for 20 shows. This deal gets you tix to the show for 149 nis instead of 169 nis! Check the dates carefully before you purchase - some concerts are on weekdays and some are on Shabbat. Various locations. Restaurant Deals - North and South! SAVE BIG! If you're looking for restaurant deals in the Merkaz & Jerusalem, click here! Olive Oil deal - delivery is not included in the deal. 2 liters for 79 nis, or 4 liters plus a jar of olives for 144 nis. 300 Gram (Moshav Betzet) - signature 300g meat dinner for just 119 nis for one, or 229 nis for 2! Voucher valid thru February 16, 2019. Blackout dates apply (like New Years' Eve and Valentine's Day). Redeem Sun-Wed, 2pm - 9:30pm (arrival), and Saturday nights from 1.5 hrs after Shabbat ends until 10pm (arrival). Reservations required. Each person at your table must a voucher, except children up to age 6, who will be required to order from the Kids' Menu. Max 6 people per table. Plomari 29, Rosh Pina - Greek Food tasting menu for two for 169 nis. Voucher valid thru December 30, 2018. Redeem Sun-Thurs, 6pm - 10pm, and Fri 9:30am - 2pm, and Sat. nights one hour after Shabbat until 10pm. Breakfast Buffet at the Leonardo Plaza (Haifa) - 79 nis for 1, or 149 nis for 2! Voucher valid thru March 30, 2019. Redeem Sun - Fri, 7-10am. Reservations required. Bring your printed voucher. Saba Haviv (Tiberias) - Iraqi Kebab meal for 2, starting at 99nis! (upgraded meal and premium meal options are also on Groo) Voucher valid for 60 days from date of purchase. Redeem Sun - Thurs, 11am - 11pm. Limit one voucher per couple. Reservations required. Hamezach (Tiberias) - breakfast for 2 for 69 nis (premium breakfast deal is 85 nis for 2)! Voucher valid for 60 days from date of purchase. Redeem Sun - Thurs, 10am - 5pm, and Fri, 10am - 3pm. Limit one voucher per couple. Corral at the Leonardo Plaza (Haifa) - Friday night dinner for 119 nis for one, or 235 nis for two. Voucher valid for meals at the hotel only, Friday evenings from 6:30 - 8:30 pm. Reservations required. Bring your printed voucher. Redeem voucher thru March 31, 2019. Trumpeta Catering (Kiryat Bialik) - get a 100 nis voucher for 49 nis! (choose from main dish menu or side dish menu) Valid for 60 days from date of purchase. Redeem on Fridays from 10am - until sold out. Limit one voucher per purchase. Morgenfeld (Achziv) - S. American Grill meal for 2, starting at 199 nis. Voucher valid thru Mar. 30, 2019. Redeem Sun - Thurs, noon - 11 pm. Reservations required. Limit one voucher per person. Sinta Bar Kenyon Sha'ar HaTzafon - 50% off burger meal for 2! Voucher valid for 60 days from date of purchase. Not valid New Year's Eve or Valentine's Day. Redeem Sun - Thurs, 11 am - 10 pm, Friday 11 am - 2:30 pm, Sat. night 1 hr after Shabbat ends until 11 pm. Reservations required. Japan Japan, Yokneam - Buy 1 Get One Free Deal - Sushi Deal is 39 nis, Stir-Fry Deal is 60 nis. Limit one voucher per person, and limited to 3 vouchers per party. Max 4 people at a table with vouchers. Not valid for delivery orders. They ask that you call ahead. Redeem your voucher Sun - Thurs, 7 pm - 11 pm, Friday 11 am - 3 pm, and Sat . nights till 11 pm. Voucher valid thru Feb. 28, 2019. Breakfast Buffet at the Bay View Hotel in Haifa - Sun-Thurs: 55nis for 1 or 99nis for 2, Fridays: 59nis for 1 or 115nis for 2. Voucher valid thru March 31, 2019. Max 6 per table with vouchers. Reservations required. Breakfast Buffet at the Crown Plaza in Haifa - 59nis for 1/109nis for 2 (69/129 on Fridays). You must buy the deal that is valid on the day you want to go (Sun-Thurs OR Friday). Reservations required. Breakfast is served 6:30-10:30am. Voucher valid thru March 31, 2019. Two Felafels with French Fries at Olam HaOchel, ((Haifa) or two omelet pitot with french fries) for just 19nis! Valid for 60 days from date of purchase. Can be redeemed Sun-Thurs till 9am - 5pm, Fridays 8am - 3pm. Or choose the chumus platter deal, starting at 12.50 nis. Lechem Basar (Mehadrin, Beer Sheva) - dinner for 2 for 299 nis. Voucher valid thru March 31, 2019, but not on Dec. 31. Redeem Sun - Thurs, 12:30 - 11pm, and Sat. nights, 8-11:30pm. Reservations required. Valid for sit down service only. Limit one voucher per couple. Or choose the Burgers for 2 deal for 99nis! Giggsi Sports Bar (Beer Sheva) - 49/69 nis Burger meals. Voucher valid thru February 28, 2019. Redeem Sun-Wed, noon - 8pm, and Thurs, noon - 7pm. Reservations required. Valid only for regular restaurant seating. Max 6 per table when using Groo vouchers. Limit one voucher per person. Any person in your party without a voucher will be required to place an order of min. 50 nis. Giggsi Sports Bar (Beer Sheva) - Steak dinner for 2 for 299nis (regular price: 422nis) Voucher valid thru February 28, 2019. Redeem Sun-Wed, noon - midnight, and Thurs, noon - 7pm. Reservations required. Valid only for regular restaurant seating. Max 6 per table when using Groo vouchers. Limit one voucher per couple. Any person in your party without a voucher will be required to place an order of min. 100 nis. Pizza Agvaniya (Eilat, mehadrin) - choose a 29 nis voucher for one person, 79 nis for 2 (a big upgrade from the one person meal), or 155 nis for four. Voucher valid thru April 4, 2019. Redeem your voucher Sun - We, noon - 2 am, Thurs, noon - 4 am. Reservations required. Valid for sit down service only. Nordau 24, Ashdod - dinner for 2 for 139 shekels (premium package for 189 shekels). Valid Sun- Thurs, 4:30 pm - 7:30 pm. Voucher valid for 90 days from date of purchase. Breakfast Buffet at the Central Park Hotel, Eilat (I checked, the hotel is kosher, even though Groupon doesn't specify) - 59 shekels for 1, or 109 shekels for 2. Valid Sun- Fridays, 7:30 -10:30am. Children under 2 eat free with an adult. Reservations required. Limit one voucher per person or couple. Voucher valid thru June. 30, 2019. Criolo, Be'er Sheva - 99 nis for 2. Voucher valid thru March 29, 2019. Valid Sun- Thurs, noon - 11pm, and Sat. nights, until 1am. Cannot be redeemed on Fridays. Reservations required, Limit one voucher per table. Not valid for takeout or delivery. Ribs in Ashdod - deals starting at 99nis for a 2 person meal! (upgrade that includes wine, dessert, and coffee is available) Voucher valid thru February 28, 2019. Limit 6 people per table if using a voucher. Can be redeemed Sun-Thurs, noon - 7pm. Reservations required. Lunch at "Space" in Moshav Emunim - 139nis for 1 person, 279nis for 2, or 549nis for 4. Voucher valid thru February 29, 2019. Check for blackout dates, and reservations required. Generally valid Sun-Thurs noon - 5:30pm or Fridays noon - 2pm. Anyone in your party without a voucher will be required to order 100nis minimum from the menu, and children under 10 will be required to order a 40nis children's meal. According to the info posted, you can use their gardens (and pool, maybe) before and after your meal. Restaurant Deals - Jerusalem and the Merkaz! SAVE BIG! Kosherfrugal.com and Janglo have teamed up to bring you some great GROO (formerly Groupon) deals you don't want to miss! 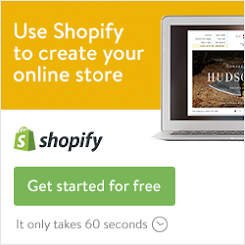 This roundup post includes deals I posted separately, and a whole lot more! Click here for restaurant deals in the North and South of the country! Pesto (Katamon, Jerusalem - mehadrin & badatz) - Breakfast for 2 for just 59 nis (58 if you catch the early bird deal)! Voucher valid thru February 28, 2019. Redeem your voucher Sun - Thurs, 9am - 2pm, and Fridays 9am -2pm (reserve in advance for Friday). Limit one voucher per couple per visit. 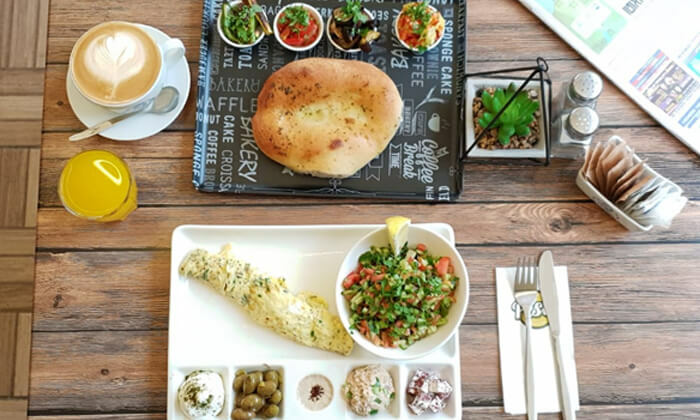 Cafe Greg Maale Adumim - breakfast for 2 for just 79 nis! Voucher valid thru February 28, 2019. Valid only at the Maale Adumim location. Blackout dates apply, including New Year's Eve, and Valentine's Day. Redeem your voucher Sun - Thurs, 9 am - 10:30pm. Reservations required. Limit one voucher per couple per visit. Sushi Kebab (Machane Yahuda, Jerusalem) - choose the 29 nis deal for a pita-based meal, or 39 nis for your choice of dishes off the menu (up to 69 nis original price)! Voucher valid thru Feb. 10, 2019. Redeem Sun - Wed, noon - 10pm and Thurs, noon - 6pm, but it says you must call ahead. Limit one voucher per person per visit. Breakfast Buffet at the Leonardo Jerusalem, for 59nis per person or 115nis for a couple. Max 6 people at a table. Valid Sun-Fri, 6:30-10:00am. Reservations required. Valid thru February 10, 2019. Children under 2 eat for FREE. Cafe Gourmand (at the Shani Hotel) breakfast vouchers - starting at 19 nis for a dessert-style breakfast, or 35 nis for one (65 for 2) for a full breakfast off the menu. Voucher valid thru January 30, 2019. Redeem Sun - Thurs, 8am - 2:30pm, and Fri, 8-11am (dessert breakfast ends at 1:30pm Sun- Thurs). Reservations required. Pichonka in Nes Harim - meal for 2 for 249nis (half off!). Reservations required. Voucher must be redeemed by Feb. 28, 2019. Blackout dates apply. Max 5 vouchers per group. You must show the voucher before you order, and anyone in your party without a voucher will be required to place an 100 nis (minimum) order. TRYP Batsheva Hotel by Wyndham - breakfast buffet - 69 nis for 1, 135 nis for 2! Voucher must be redeemed by Feb. 28, 2019. Reservations required. Limit one voucher per person. Anyone age 2+ must have a voucher. Bahadunas Chumus (Jerusalem) - Save 20 nis off your chumus dish! Voucher valid thru Jan 15, 2019. Redeem Sun - Thurs, 11 am - 5 pm. Limit one voucher per person. HaSultan - 50% off vouchers for your purchase of Techina, Halvah, Coffee, and Tea! Voucher valid for 60 days from date of purchase. Redeem Sun - Thursday, 10 am - 9 pm, and Friday 10 am - 2pm. Limit one voucher per person. Eyal Hotel - Breakfast buffet - 59 shekels for 1, or 115 shekels for 2! Valid Sun-Fri, 7:00am - 10:00am. Reservations required. Valid thru March 30, 2019. Maccabi Cheeses (mehadrin) - French cheese platters: choose a 2 kg platter for 149 nis, or a 3 kg platter for 219 nis (50% off!). Voucher valid thru January 31, 2019. Place your order a day in advance, and pick up in Givat Shaul, Mondays or Thursdays. Blackout dates apply. Hamikdash (Kfar Saba) - dinner for 2 for 239 nis, or the premium dinner for 2 for 299 nis. Voucher valid thru Jan. 31, 2019, except for Dec. 31, 2018. Redeem Sun - Thurs, noon - 10pm and Sat. nights from one hour after Shabbat until 10:30pm. Reservations required. Limit one voucher per couple. Any guests at your table without a voucher will be subject to the min. order of 150 nis. Luzzatto Italian Meat Kitchen (Raanana) - grand opening deal - Premium meal for 2 for 189 nis. Voucher valid thru March 31, 2019, except for Dec. 31, 2018. Redeem Sun - Thurs noon - 11pm, and Sat. nights 7pm - 11pm. Reservations required. Limit one voucher per couple per visit. Additional people at your table must place a min. order of 60 shekels each. Cafe Med at the Hilton (Tel Aviv) - Shabbat meals starting at 255 nis. Voucher valid thru Feb. 23, 2019. Friday night dinner is served 18:30-21:30, Shabbat lunch is served 13:00 - 15:00. Reservations required. Limit one voucher per person. Max 10 per table. Be sure that everyone has a printed voucher. Breakfast Buffet at the Daniel Hotel (Herzliya) - breakfast for one for 69 nis, or for 2 for 135 nis. Voucher valid thru February 28, 2019. Redeem Sun - Thurs, 7-10:30am. Reservations required. Limit one voucher per person/couple. Hagrill Halohet (Tel Aviv - Badatz hechsher) - dinner for 2 for 99 nis (premium package is 165 nis). Voucher valid thru February 28, 2019. Redeem Sun - Thurs, 11am - 2am, and Sat. nights, from one hour after Shabbat until 2 am. Limit one voucher per person. Souvlaki (Netanya) - Greek food for 2 for 219 (reg. price 432 nis). Voucher valid thru February 28, 2019 (not valid on December 31, 2018). Redeem Sun - Wed, 11am - midnight (last arrival 9pm), Thurs, 11am - 7pm, Fri, 11am - half an hour before Shabbat starts, and Sat. nights, from half an hour after Shabbat until midnight. Max 3 vouchers per table. Reservations required. Anyone at your table without a voucher is required to order a main course off the menu. Sushixi (Rishon) - Asian-style meal for 2 for 79 nis! Voucher valid thru December 30, 2018. Redeem Sun - Thurs, 3 pm - 9:30 pm, and Fri 10 am - 3 pm. Limit one voucher per couple. Or, choose the party platter deal - get an 80 piece platter for 209 nis (regular price 350 nis) - party platter deal must be used by December 30, 2018! Kaza (Bat Yam) - pay just 69 nis for 2 portions! Voucher valid thru February 28, 2019. Redeem Sun - Wed, 8 am - midnight, Thurs, 8 am - 8 pm. Limit one voucher per couple. Max 6 people at a table. Or check out the Shipudim deal! (Shipudim plus extras for 2, for 89 nis) Reservations required. Lemongrass (Netanya) - Choose an 80-pc sushi platter for 169 nis, or a 110-pc platter for 219 nis. Voucher valid thru February 28, 2019. Redeem Sun - Thurs, 5 pm - 11 pm, Fri, 1 pm - 3 pm. You must call at least 2 hrs ahead of your preferred pickup time. Extra 15 nis for delivery orders. Limit one voucher per person. Sushi Oz (mehadrin, Netanya) - Various sushi platters for up to 43% off regular price! Voucher valid for 60 days from date of purchase. Redeem Sun - Thurs, 9 am - 9 pm, with at least 3 hrs advance notice by phone, Fridays, with 24 hrs advance notice by phone, until 12:30 pm. and Sat nights if ordered on Friday or earlier. Delivery charges not included. Limit one voucher per person. Bishulim Express Takeout (Petach Tikvah) - Buy a 100 nis voucher for just 50 nis! Voucher valid for 60 days from date of purchase. Redeem on Fridays, 7 am - 2 pm. Call in advance. Limit one voucher per person. Min. purchase to redeem the voucher - 190 nis. Not valid on grilled salmon or grilled pargit. Alfredo (Rishon) - Israeli breakfast for 1 for 45 nis, or for 2, starting at 79 nis (upgrade to premium breakfast for 2 for 99 nis!) Voucher valid thru January 30, 2019. Redeem Sun - Thurs, 9 am - 5 pm, Fri, 9 am - last customer. Limit one voucher per person or couple, max 3 vouchers per table. Yossi Original (Tel Aviv) - Get a 60 nis voucher for "pitzuchim" for just 35 nis! Cannot be combined with other sales. Voucher valid thru December 31, 2018. Redeem Sun - Thurs, 7 am - 7 pm, and Fri 7 am - 4 pm. Valid at the store located at 12 Yechiel Tchelnov St., Tel Aviv. Limit one voucher per visit. If your purchase totals more than 150 nis, you may redeem 2 vouchers at one time. Currylina (Bnei Brak) - Indian meal for 2 for 99 nis. Voucher valid for 60 days from date of purchase. Redeem Tues - Fri, 9 am - last customer. One voucher per couple. HaDayagim (Jaffa Port) - lunch for 2, starting at 159 nis. Voucher valid thru Jan. 31, 2019. Redeem Sun - Thurs, noon - 7 pm, and Sat. nights from 6:30 pm - last customer. Reservations required. Limit one voucher per couple. Max 2 couples with vouchers per table. Valid for sit-down service only. Cafe Greg, Givatayim - breakfast for 2 for 79 nis. Voucher valid thru January 10, 2019. Redeem Sun - Thurs, 8 am - 10 pm, and Fri. from 8 am - 2 pm (extra 10 nis per person on Friday, payable to the cafe). Good only at the Givatayim location. Limit one voucher per couple. Shnitzeline (Tel Aviv) - Shnitzel meal for 25 nis (49 nis for two!). Redeem Sun - Thurs, 10 am - 3 pm. Valid on Chol Hamoed Sukkot! Voucher valid thru Jan. 30, 2019. Valid for sit-down or takeaway. Limit one voucher per person. Nagisa (Tel Aviv)- Sushi platters starting at 149 nis. Voucher valid thru March 31, 2019. Redeem your voucher Sun - Thurs, noon - 6 pm, Fridays noon - 5 pm, and Sat. nights till midnight. Call in your order for a platter at least 2 hrs in advance. Reservations required for restaurant vouchers. 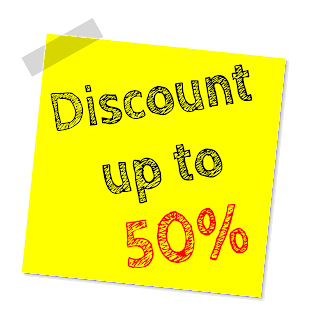 The 50 nis voucher deal is for one person. Order enough vouchers for your whole party! Delivery not included. Lechem Basar, Netanya (mehadrin) - Dinner for 2 for 299 nis. Valid Sun-Thurs, 12:30 pm -11:00 pm. Reservations required. Valid thru February 28, 2019. Blackout dates may apply. Dinner for 2 at Hilulim (mehadrin) restaurant in Tel Aviv at the border of Holon, for 169nis. Reservations required. Max 5 deals per table. Voucher can be used Sun - Thurs, noon - 11pm. Voucher valid thru Feb. 28, 2019, but blackout dates apply. Punchline - the restaurant with singing waiters (yes it's kosher!)! Save over 50% with this deal (134 for 2 people, instead of 272!). Includes a meat platter and a dessert platter. Limit 4 couples with vouchers per table. Redeem Sun - Wed and Sat. nights, from 8pm - last customer. Reservations required. Voucher valid for 90 days from date of purchase (not valid on holidays or New Years' Eve). La Place in Netanya - Breakfast for 2, for just 59nis. Limit 2 Groupons per table. Show your Groupon before ordering. Use your voucher Sun - Fri, 8:00 am - noon. Valid thru February 28, 2019. Herod's Hotel (Tel Aviv) Breakfast Buffet - 5 star breakfast buffet for 1, for 79 nis, or for 2 for 155 nis! Voucher valid thru March 30, 2019. Redeem your voucher Sun - Thurs 6:30 am - 10:30 am. Not available for Fridays. Reservations required. Limit one voucher per person or couple. Check out this Groo deal if you're in Jerusalem! Deal: New Year's Eve entertainment in Tel Aviv! Deal: Saucony shoes (for men)! Deal: Wifi enabled printer - awesome low price! Deal: Meat Smoker - low, low price! Deal: Shomrat Hazorea Bunk Beds! Deal: automatic garbage can for under 200 nis! Deal: Hamezach in Tiberias (2 deals, actually)! Deal: Plomari 29 in Rosh Pina! Deal: Day off at the David Tower in Netanya! Deal: Shabbat Takeout in Netanya! Deal: Punchline in Tel Aviv! Deal: Breakfast for 2 at Paradiso in Sarona! Deal: Pizza Time in Netanya! Deal: Currylina in Bnei Brak! Deal: Shabbat Takeout in Petach Tikvah! Deal: Sushi platters in Netanya! Deal: Pizza Agvaniya in Herzliya! Breakfast Buffet Deal: Leonardo Jerusalem! Restaurant Deal: Sushi Kebab, Jerusalem! Deal: Cafe Greg Maale Adumim! Deal: Ktzizot meat workshop (Jerusalem)! Deal: Shakshuk in Machane Yehuda (Jerusalem)! Cheese Platters from Maccabi Cheeses for 50% off! 24 hr deal for a Pescados voucher! Holiday Season Savings from iHerb! Discount Attractions: something for everyone!